Buy now and pay later. Sounds great, right? Best Buy, Home Depot, and Walmart are just some of the many retailers that offer these deferred interest credit cards. Advertised as a free credit card with 0% interest that you can get right on the spot, deferred interest credit cards sound like a dream come true. But there’s a catch. These cards can end up costing you a lot more money than you think. Take a look below before you commit yourself to something you may not want. Deferred interest credit cards are frequently advertised in retail stores. Let’s say you want to buy a flat screen TV, but you don’t have the money. Here’s a $500 credit card. 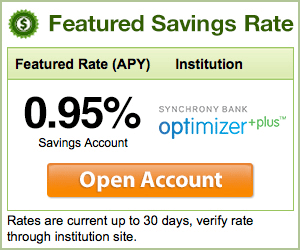 You have 0% interest for a specified term that you might not have to pay back for years. You can buy your TV and don’t have to worry about the money. Related: Walmart Credit Card Review: Is It Worth It? What they don’t tell you, however, is that any slip up in your payment will result in massive amounts of debt. For most deferred interest credit cards, if you miss the payment on the due date, the credit company will charge you an average of 25% APR interest rate on the full amount of your purchase, even on that which you have already paid off. So, if you only have a couple dollars left to pay off after the payment period, you are still charged the full amount of interest. There is no forgiveness for the debt, and oftentimes, there is no real disclosure on how much you will owe until you receive the notification in the mail. One consumer reports that he was charged $1300 in interest for his $800 initial purchase. His original receipt did not specify these conditions. So, he was slammed with interest and unable to pay his bills. His credit score went down and he was stuck with a lot of debt. Many Consumer Reports, including the National Consumer Law Center, warn customers of deferred interest credit cards. They believe that these kinds of credit cards are very dangerous to most consumers. Some have even pushed the U.S. Consumer Financial Bureau to place a ban on deferred interest cards, as they are considered an abusive financial practice. However, retailers who offer the cards argue that the cards are very beneficial to consumers who just want to buy a product and don’t have the money. They can easily purchase what they want and pay it back without any fees. So, what does this mean for you? Should you still get a deferred interest credit card? If possible, you may want to steer clear of deferred interest credit cards. Take a look at general purpose credit cards that you can find by using Creditnet’s credit card search tool, and which I've also listed below. These can offer 0% financing for a set amount of time too. Research different promotions and you may be able to get a card that is just as good as a deferred interest credit card (but with better options for late payments.) There is no reason to use a deferred interest credit card when you can be financially safer with a normal one. However, if you do opt to use the deferred interest credit card, read the fine print before you agree to get one. Understand what you may get yourself into if you do not pay everything back on time. Know what you are doing and try to pay everything back within the payment period. If you can pay everything off, you may enjoy the ease of buying a product with a deferred interest credit card.